The First Baptist staff hold staff meetings most Wednesdays a month. We pray, plan, and communicate what is happening in our respective ministries. Everyone has a place at the table–we are a team, and we are all ministers regardless of our titles. The lessons was simple: Don’t get ahead of Jesus. This portion of scripture represents a watershed in the Gospel–the dividing line from Jesus’ ministry in the northern country, to his journey to the cross (similar watersheds are in other gospels, such as Luke 9:51). What attracts me are the small nuances of this verse: Jesus walks ahead of his disciples. He always goes before us, marking our way. He leads us and guides us, and we are to follow him. No one is ahead of him, and those who try to get ahead of him do so at their peril. Yet, even then, the disciples had mixed emotions. Some were amazed; others were filled with fear. When we walk with Jesus we will be amazed; but fear is not absent. It is scary to walk with Christ–it requires vulnerability and risk. 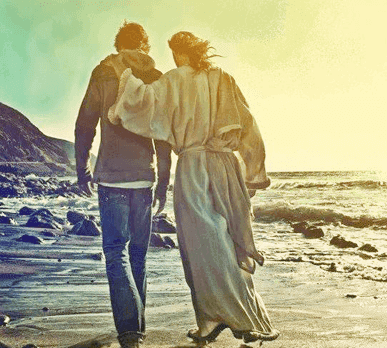 Sometimes he goes places where we do not want to go; of course, when we follow him, we are never alone! Be sure to stay with Jesus today. Don’t get ahead of him…or yourself! We submitted this Letter to the Editor of the TC Palm over the weekend of Feb. 24-25, 2019. Every Sunday at First Baptist Church of Vero Beach, we affirm the divinely-mandated relationship between justice and worship. We believe they are two sides of the same coin, and that our relationship with God is ultimately tied to our relationship with our neighbors. We adhere to the prophetic call that the Gospel compels us to do justly, love mercy, and walk humbly with our God and our community. To love as freely and as magnificently as Christ loves us. In light of the recent events uncovering systemic injustice, human trafficking, and sexual assault in our community, we double down in seeking to provide a sacred and holy space in our neighborhood that fosters liberation for the oppressed and justice and due process for oppressors. We stand in solidarity with our city and our neighbors in decrying the oppression and shame this has brought upon our county, and we hope that our advocacy and prayers will help bring healing and comfort to those in sorrow. We will remain vigilant in being accessible–of nurturing a safe haven–to those who are in need and have been affected by human trafficking–to the families of both the victims and the accused. And we hope that our belief and convictions born from the Gospel of Christ will be transformative for renewal and redemption. We also join our local partners in ministry and other non-profits in collaborating together for the sake of healing. Together we seek a deeper call for social justice that corrects the most heinous situations of exploitation in our midst. We pray that there exists a balm in Gilead and spiritual nourishment for a dry and weary land. Some local clergy and I serve on the Centennial Family Founders Day Committee for the city of Vero Beach. Early next week I will be facilitating a peer-led retreat for pastors and chaplains hosted by the Cooperative Baptist Fellowship of Florida. This is the sixth retreat like this that I have attended, and the fourth one I will be facilitating. The first time I went on a peer-led retreat for pastors was back in 2012 in Georgia. There were a dozen of us, and we quickly became good friends. We encouraged one another. We shared best practices in ministry. We prayed together and, in some cases, cried and laughed together. I have made life-long friends in the process. Several years ago, I saw a need for this type of retreat in Florida. Sure, there are plenty of conferences and retreats–usually in a setting in which you are sitting through lectures or seminars. I enjoy those, but sometimes its good to hear from normal pastors who are on the ground ministering faithfully day in and day out. I suggested to Ray Johnson, director of the CBF-FL, that we host one, and he allowed Bob Searl (one-time pastor of North Stuart Baptist Church) and I to facilitate the first one of its kind in Tampa last year. The retreat is meaningful not only because we take time to grow and rest, but because I enjoy spending time with other clergy. I always felt the calling to pastor pastors not as a profession, but as a ministry of encouragement. I enjoy calling pastors, praying for them, sending cards. I like getting together for lunch and taking time to swap stories of raising children in the church or sharing tips for preaching. In the last few retreats I’ve attended, in addition to a pastor’s cohort with the Treasure Coast Baptist Association in which I presented in July, I have encouraged pastors to remain faithful in the “ordinary” routines of ministry. This conversation has taken on various forms: in “dialogue” with medieval mystics whom I studied a few years ago; in our church’s emphasis on “ordinary time” in the Christian calendar (the Cohort presentation was called, “Ministry in Ordinary Time.”); and in emphasizing routines and rituals as a daily spiritual practices. Just last week, an article came out in the Christian Century that stole my thunder, but it is worth a read! Inevitably, because this ministry is one of my personal ministries, it also means that it is a part of the ministry of First Baptist Church of Vero Beach. By way of spending time with clergy and interfaith leaders in our community, our church has become synonymous with being a hub of encouragement and support to churches, non-profit organizations, and houses of worship throughout Indian River County. That is something to be proud of! In a few weeks, on January 21st, we will continue our partnership and friendship with the community by participating in the annual Martin Luther King, Jr., day parade in Gifford. This will be the first time I’ve participated in this event, so we will be walking with our friends from Temple Beth Shalom and her leader, Rabbi Michael Birnholz. If you are interested in joining us, please call the church office for more details. We hosted our first men’s prayer meeting this morning at 7:30 AM. Beginning today, we will meet every Tuesday to pray for our families, church, community, nation, and special needs. It is open to all men, and we go to breakfast afterward for those interested. Our time together also included a short devotion. This morning’s was on Matthew 1:18-20, the beginning of the Christmas story, when an angel visited a fearful Joseph. The passage is short but powerful: Joseph finds out that his young bride is pregnant and he, being righteous and just, wants to “dismiss her quietly.” That evening, an angel visits Joseph in a dream and tells him not to fear, that God has a plan! Our devotional this morning focused on those short words, Joseph “planned to dismiss her.” Sometimes we read the Christmas story so fast, we don’t get into the thick of the plot. Joseph is anxious. His family’s honor, reputation as a business man, and his entire community is in peril because of the potential scandal of Mary’s pregnancy. His “planning” was not something he thought about for a few minutes. I think it captured a season of turmoil and duress that anyone in his shoes would have endured. 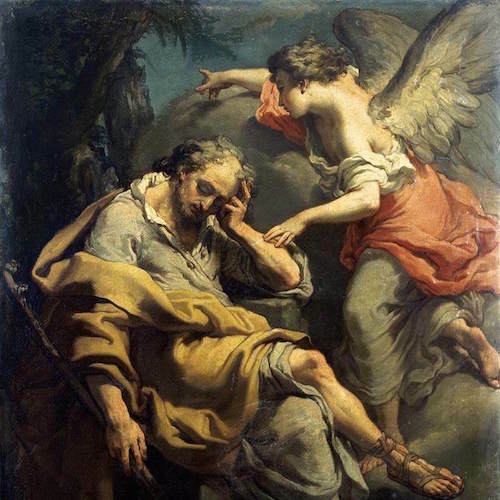 The anxiety, fear, and panic was what the angel confronted: Joseph’s stress put him in a place of openness to God; his fear kept him tossing and turning at night. His mind was at work, scheming, so dreams became more abundant. An angel visited one such dream. It is as the song states, “our hopes and fears of all the years are met in Thee tonight.” Joseph is vulnerable, shaken, and stressed; but he learned that God was in the business of taking ordinary, broken individuals and using them for His glory and purpose. Joseph and his bride was to birth the Savior of the world. It was not cause for scandal, but for praise and celebration. While in Cuba, our mission team joined a church for communion. In the service, the pastor said that it was a miracle that Jesus chose bread and wine to represent something so holy and sacred. The miracle was that bread and wine were ordinary objects. They were readily available to peasant families, and not special sacraments or holy vessels. God chose ordinary, everyday objects to be catalysts for a sacred event. The Christmas story is similar–we have ordinary individuals, Joseph and Mary, who were tasked with midwifing the Savior. God equipped these new parents, beset by fear and uncertainty, with strength to endure becoming refugees on the run from the law, outcasts who found solace in a manger, and heroes who nourished the King of kings. The places where your dreams meet your fears, where the unexpected seems to be happening and our vulnerability limits our “control” over the course of the events in our life, is where God’s likely at work. Be open to God; do not neglect your fears and fragility; know that God wants to use you for His purposes–it doesn’t require a degree or spiritual pedigree; it only requires a foundation of righteousness and prayer, of trust and faith. And then expect the extraordinary to happen! Twelve of us are gearing up this month for our Cuba mission trip, set for the first week of November (the 1st through the 6th). In partnership with the Cooperative Baptist Fellowship and the Fraternity of Baptist Churches in Cuba, we will be painting and and doing light repairs with El Jordan Baptist Church in Havana (pictured above, with one of our team members, Jon from a sister church in Jacksonville, in the lower left-hand corner), as well as yard work on the Fraternity campus (also in Havana). The trip will include missions work of this type, but also a day of cultural immersion in which the team will learn about faith and life in Cuba. They will hear from families, worship with El Jordan on Sunday morning, and taste foods in a variety of settings. On Sunday, we will also take time to tour historic Havana and possibly travel to the small fishing village of Mariel in order to support a small Christian church trying to feed poor families in that area. The team is excited and proud to travel to Cuba, as this is First Baptist’s first mission trip in about 4 or 5 years. They have raised their own funds, collected clothing and items to donate, and are ready to serve the Lord. As this is a mission trip, not a luxury excursion, there will be no rest for the weary. Pray for God’s provision, strength, and stamina! We want to invite you to come and hear more about the trip, or perhaps lift us in prayer. Our next meeting will be a packing party on Sunday, October 28th at 2 PM in the small social hall. That Sunday morning, in 10:30 AM worship service, we will have a prayer of commissioning for the team. Please join us! Did you know that the pulpit in the sanctuary is not the original 1962-era pulpit? That pulpit is in storage. When I first came to First Baptist, the “powers that be” gave me a choice between three pulpits: the one in the sanctuary, the one from 1962, and the one that Pastor Derrick West used in the contemporary service, a plexiglass podium-style pulpit. I got a good look at the original pulpit, and I was overwhelmed by the sheer size of the thing. It is three-times as wide as the current one, and its a bit higher. I joke that I can’t see over it; and, if I were to use it, I’d feel like I was lording over the congregation. Besides, there is a big shelf on it, and I’d be tempted to have 45-minutes worth of preaching notes on Sunday. It is regal, however, and communicates the majesty of our church’s legacy and the architecture, but its just too big and I’d feel detached from the congregation, preaching from that thing! The plexiglass pulpit is in our Family Life Center, and we use it for Bible studies and other events. It communicates a teaching-style of preaching in which Pastor Derrick excelled. That would not work for me, and I thought it too informal for my own preaching style in the sanctuary. The one they had in the sanctuary–the one we currently use–is just right! It is heavy enough to communicate the weight of the authority of scripture and of our preaching heritage, but it is light enough to move off the stage when we have special events. The colors match the rest of the sanctuary, but I can easily move around it when I preach and want to “connect” better with the congregation. It is an easy pulpit to stand in and to stand beside. I can see over it, too. That helps. The Old-Fashioned Hymn Sing and Ice Cream social last Sunday reminded me, however, that with all of the pulpits and preachers that have passed through First Baptist Church, it has been the liturgy–the worship of the people and the hymnody–that has sustained our church for over 103 years. Preaching styles and pulpits come and go, but the Word of the Lord has grounded us, our worship has united us, and the Lord has strengthened and provided for us. Singing the hymns last night allowed this feeling of continuity to arise in my heart. For all that makes us unique and diverse, it is our worship that makes us one Body in Christ. And for that I am grateful, and for that I can celebrate and know that this God whom we serve has lifted us up and has carried us “through the ages” (Isaiah 63:9). We don’t sing to be nostalgic, we sing to bring glory and honor to God’s name. We don’t sing because it makes us feel good (though that happens! ), but to declare the mighty works of the Lord and to praise Jesus for being our Lord and Savior. We have several opportunities to learn more about hymnody this season. This Wednesday, on August 1st, Dr. Michael Carter is beginning a 4-week seminar series on “I Love to Tell the Story: Hymnody and the Sounds of the Church through the Ages,” immediately following supper in the Family Life Center. And on the last weekend of August, we will have an opportunity to sing and praise the Lord again in a three-service revival. Won’t you join us and step into this rushing river that has flowed for over a century? My sermon this Sunday is on the unity of Christ’s Church. Based on the Pentecost reading of Acts 2:1-11, unity comes when God’s people gather to hear God’s Word, listen to God’s Word, and act on God’s Word. I won’t go over the whole sermon here–you will need to come to church for that!–but I was impressed that one of the results of unity (at least in Acts) is boldness in Christ. Announce the Lordship of Christ. The disciples in Acts needed boldness to preach that Christ was Lord and Savior because that message was treasonous in Rome. Back then, the Caesar was lord and savior–claimed as “God’s son,” by Roman writers–and to claim that there was another who was king over Caesar was a dangerous message indeed. The disciples preached boldly in the face of hostility and danger. When they were imprisoned, they did not relent, nor did they try to defend themselves by way of violence. They saw every circumstance as an opportunity to preach Christ and him crucified. Live as Christ’s Ambassadors of Reconciliation in the world. Another important theme in Acts is that, in Christ, God bridged the divide not only between himself and the world, but between Jew and Gentile. Christ’s salvation is inclusive, it is not a monopoly of one ethnic, religious, or socio-economic group. Rather, the message of Christ’s salvation is one of reconciliation: that anyone and “everyone who calls on the name of the Lord shall be saved” (Acts 2:21). Christians are ambassadors of this Word. Ambassadors are not citizens of the countries in which they venture; rather, they are citizens of a host country and go afar to foreign and strange places to bring people together and build coalitions of peace. As “ambassadors” (according to 2 Corinthians 5), we are citizens of the Kingdom of God, sent into the world to speak on Christ’s behalf. We represent not the interests of the world, but the interests of God. I am not a big fan of St. Augustine’s theology which posits that we are citizens of two worlds–the kingdom and the country in which we reside. The Bible makes clear that once we call Christ Lord, we belong to Him and Him alone. To Stand on the Side of Justice. We represent Christ’s prophets, those harbingers of hope who declare what God is up to and communicate the deepest values of God in a world that has misplaced priorities. We follow a Lord who claimed that “the first shall be last, and the last first,” and that we are not to worry as the world does. We seek the kingdom of God first, and let all other things fall into place as God so allows. This message of justice reaches back into the heart of the Old Testament. From the very details of God’s Law given to Moses to those proclamations by the likes of prophets like Isaiah and Amos, justice insures that we don’t push for what is always “fair”, but for what is moral and right. Christ plants churches in local communities to anchor those communities in the morals and values that are godly, biblical, and just. So goes boldness in the Bible. My sermon this Sunday will hit on boldness briefly, but I thought that this fuller treatment will provide you with something to ponder until then. I hope to see you Sunday! I have met few (if any) pastors who are excited about church committees. In fact, some churches are so frustrated with committees that they have disbanded committees and moved to other models of church polity. But did you know that committees communicate our earliest Baptist roots and American founding in democracy and representative government? Not many people know this, but the government of the United States was founded as a representative republic precisely because of the deepest values that our earliest churches shared in what is called a “congregational polity.” That means that churches governed by way of representative bodies–many called committees-to make decisions on behalf of the congregation, to elect leaders, and chart a course for the future. When our Founding Fathers and Mothers sought to carve out a new body politic, this is the model they decided to use for our democracy (along with help from the writings of John Locke and other philosophers who gleaned from our ancient Roman, Reformation Protestant, and Renaissance forebears in Europe). We have committees not because we are obligated to have them, but because representative government is in our Baptist DNA! And you can tell if a church is healthy by how well committees communicate, collaborate, and pray together in the life of the church. It is true that committees get bogged down with bureaucratic nonsense when they compete and conflict with one another. In contrast, a well-oiled machine in which committees work together helps us be “the church.” We have to strive to achieve the latter, and prioritize faith formation so that we know how to be the church in the first place. I for one trust in the efficacy of committees and their place in Baptist life. They allow the congregation to have a say, and provide opportunities to resolve issues rather than complain to the higher ups. They speak to our egalitarian ministry emphasis as we all stand under the lordship of Christ and the authority of scripture. It allows us–together–to hear the Spirit and follow God’s leading. This Sunday we are coming together at 5:00 PM for our annual committee reorganization meeting to elect officers, discuss plans for the new year, and be empowered for a season of ministry and missions. It also gives us a chance to pray and humble ourselves before God who ultimately calls the shots. So in a spirit of our American founding and democracy, lets get together with enthusiasm and practice some good, old-fashioned church business! See you there! 1. Thou Shalt Be Friendly. You think that this is a given, but you many people tell me that they have visited churches that are not friendly. People can enter and leave without someone greeting them or even smiling at them–it really happens! I visited a church one time and the pastor passed me three times without stopping once to greet me. This was a small church, so it wasn’t like he wouldn’t know whether I was a visitor or a member. Be friendly! 2. Thou Shalt Communicate Kindness. Greet guests with a firm handshake, open posture, and smile. It is not enough to be friendly–thought that’s a first step. Ask the names of guests and try to use their names in the course of the conversation. Don’t forget to introduce yourself too! 3. Thou Shalt Be Mindful of Your Surroundings. Pay attention to who is near you in the pews. You are the first line of greeting when a guest comes, and if you see someone new in your section of the church, follow the first two commandments, then let the nearest staff member know so we can do it too! 4. Thou Shalt Invite Guests to Something Significant. How do we get guests to stay and participate at church? Invite them to lunch or coffee. Church is not like social media, where you check in and out of people’s lives at your convenience. We are the church and we are to make disciples, so guests need to feel a part of it to start that journey. Invite people somewhere: to coffee, to lunch, to Sunday School, or to a gathering. It may be inconvenient, but too bad. Someone a long time ago went out of their way to welcome you, so now its your turn to do the same for others. 5. Thou Shalt Help with the Children. If guests have young children, be kind and accommodating to the family. Point out where the restrooms and nursery are, ask the names and ages of the children, have conversations with the children–they need to feel a sense of belonging too. Get one of the staff to introduce the children to our children and youth leaders. If the children are vocal or playful during worship, play with them silently–don’t worry about the sermon, you can catch it online at home. For now, focus on the children–they are miracles, each and every one, and you may be the first of Christ’s ambassadors they’ve ever met!! 6. Thou Shalt Not Ask Too Many Questions. When you welcome a guest, don’t ask too many questions. For instance, don’t say, “Oh, and is this your mother?” because you may get the response: “NO! THAT’S MY WIFE!” If there is a single guest, don’t ask if he or she is married or what not. Follow through on the fourth commandment, and then you may–may!–eventually get the emotional permission to ask probing questions. 8. Thou Shalt Not be Culturally Insensitive. Kristina and I once visited a primarily African American congregation, and the first thing the greeter said was, “Wow, we don’t get visitors like you here often.” We were not impressed and we never returned. If a guest visits who may be an ethnic, gendered, or racial minority, don’t make it awkward. Don’t say, “We don’t get a lot of your kind here,” or, “Wow, it’s nice to have you…so, as a Mexican, what do you think of that comment about immigration that Trump said the other day?” or, “Hey, you’re the perfect person to ask this: What do you think about those Confederate statues being removed from public parks?” All of these questions are either racist or bigoted in one form or fashion. Other questions can be misogynistic, so just treat everyone the same and be sensitive. 9. Thou Shalt Not Use Off-Color Humor. First impressions are everything, and people may not share the same kind of humor as you. Do not try to use humor to break any tension or awkwardness in the greeting. Be yourself, but just be sensitive (see Commandment 8). So if you feel inclined to make a joke, just don’t. Be warm and friendly, but be professional. The other day, someone lamented that they were afraid to joke around anymore because of all of the sexual harassment suits in the news lately: “Everyone is so sensitive these days,” he said. Yes, that’s right–the truth is that that kind of humor has always been wrong–the fact that no one is laughing anymore is a good and godly thing, trust me. Locker room talk is not appropriate for the Christ-following Christian. Last Sunday, we heard a moving Need 2 Know moment from Karen Rockhill and Becky Thorne regarding the baby blankets project by the Women’s Devotions group that meets once a month. Nearly a dozen of ladies have been making baby blankets for newborns and their parents at Indian River Memorial Hospital over the past year. Each blanket comes with a personalized card that expresses a blessing and word of encouragement on behalf of our church. The need for blankets is great–there are approximately 80-100 births a month at IRMC. The blankets, which are self-funded through the ladies’ group, require materials, cards, and other items. Karen and Becky asked for prayer and any gifts that you may be called to give. Since they began the blankets project, First Baptist Church has provided over 1,000 blankets to newborns in the hospital. The Women’s Devotions group meets every first Tuesday of the month at 6:30 PM. The blankets project is only a small part of the group, as they share devotions, testimonies, food, and fellowship. As pastor, I am proud of this amazing project–itis a personal and wonderful way to let people know that we care about families and that we exist to encourage and promote life. This also allows us to recognize that our town is growing at a fast rate–young professionals and families choose Vero Beach as a place to work and live, not just vacation. There is a mission field right outside of our doors, and we need to be prayerful and assertive about recruiting families who need a church to call home! let’s commit to pray for the blankets project and commit to always express God’s love as we blanket Vero Beach with compassion and Christ’s call of salvation. Core Values: What Makes Each Church Unique! In scripture, Jesus gives every church a basic mandate called the Great Commission (Matt. 28): To share the Gospel, make disciples of all people, and baptize them in the name of the Father, Son, and Holy Spirit. This mandate unites Christ’s Church across the globe, but the scriptures also attest that each local church serves God in different ways: We are a part of Christ’s Body, but some are legs, others arms, and yet others feet. Each local church is distinctive from other churches in this organic make-up. Why else have churches on every corner? These distinctives are also called core values — values that make up the basic DNA of a local church, unique qualities that play a major role in the local community, distinct from other local churches, and significant in the larger Body of Christ. These values are usually implanted in the church from its founding and do not change over time, although they may be articulated differently from one generation to another. The Worshiping Church: First Baptist values the worship of God in spirit and in truth, engaging people through ancient traditions, liturgical rhythms, the Christian calendar, and contemporary creative arts. The Discipling Church: First Baptist values the discipleship of all people–men, women and children–who long to obey God, grow in Christ, and live by the power of the Holy Spirit. The Teaching Church: First Baptist values passing on the legacy of Baptist community by fostering the gifts of the Spirit, mentoring believers along the journey of faith, and including both men and women in leadership. The Missional Church: First Baptist values participating in God’s mission to the world, being the presence of Christ by advocating for the impoverished, and standing in solidarity with those who seek justice and reconciliation. As we explore these four values in conjunction with our “Journey Through Acts” over the summer season, be in prayer about how these core values inform who we are, our common identity as a church, and the shape and scope of our missions and ministries in our neighborhood. Hear from God, and if there are any changes or questions that arise, come and let’s talk about it! These are, after all, rough drafts–but articulating what makes us unique is the first step of having a laser focus in doing God’s work together! I appreciate this question. It implies enthusiasm, a passion to grow and move beyond our comfort zones. It is born out of an unyielding excitement to reach the lost and preach Good News to a world in need. Arriving at an answer, however, is easier said than done! A church moves as a Body, not as a result of any one person’s (or pastor’s!) agenda. Vision and the future-casting in a church requires community involvement, discernment, intentional conversations, prayer, and a shared set of values that shape the nature and scope of ministry. Perhaps you are wondering the same thing about our church, but attending Sunday morning service does not provide ample time to have those conversations or seek ways to help our church grow in new and creative ways. And that is the reason we meet on Sunday night! While many churches have done away with Sunday night Bible study or service, we are committed to meeting together Sundays at 6 PM to have intentional conversations related to the mission, ministry, and future of our church. Last night, for instance, we talked about the Sunday morning sermon, related to having a faith courageous enough to wrestle with God in the midst of mystery and uncertainty. As a church, we don’t seek to have all of the answers or tell people what to think. We certainly don’t talk down to people. Rather, we provide a safe space where people can take ownership of their relationship with God, to meet the Risen Savior rather than receive mere commentary about the Savior. A watershed moment happened last night too: Together, we agreed that our church needed to provide a safe and sacred space for people to ask the deepest, most difficult questions related to their faith and relationship with God. We agreed that we would not shun people or cast people out because of their search for the Spirit’s purpose in their life. People call this a teaching church model of ministry, in which we disciple people and give people the space to have Jesus shape their worldview, to get out of the way of the Holy Spirit and coach people in clarifying what they believe and how they are to make disciples of others. This is something that Baptists have been doing since the beginning of the Baptist movement in the 1600s! Young people, especially, are interested in this type of church model. People between the ages of 18 – 40 come to church to have a first-hand faith rather than get commentary about faith. They want to meet God, not just talk about God. They want to wrestle with Scripture, not dance around scripture. Young people are seeking ways to engage their world by wrestling with causes, issues, and theological insights that will promote a radical trust in Christ and an open-ended faith that moves beyond the walls of church. They, like we, want to walk with a Risen, Living Savior, not pay homage to a historical figure lost in the annals of time. This takes courage and risk on our part. We have to be willing to walk with people who are in uncomfortable places in their lives. It means having to enter into their sacred space and find where the Holy Spirit is at work. It means getting out of our own comfort zones in order to see God in the midst of mystery and discernment. It means being surprised and finding a sense of wonder again (some call it revival!) where we least expect it! Do you want to help shape this kind of community beyond listening to a sermon or attending a Sunday morning worship service? Are you interested in engaging your world differently, to move beyond your easy chair and preferred news station or social media platform to build relationships that matter? Then join us on Sunday evening and participate in shape the precise direction that we are heading as a church. It is fun, open, and lively. We hope you’ll be a part! Of all the things we wonder about God, being united should not be one of them. We know that unity is pleasing to God, and there are enough verses in scripture to assure us that being united is God’s will for the church, the Body of Christ. In 1 Corinthians 1:10, Paul wrote, “I appeal to you, brothers and sisters, by the name of our Lord Jesus Christ, that all of you be in agreement and that there be no divisions among you, but that you be united in the same mind and the same purpose” (NRSV). Sounds easy, doesn’t it? Well..maybe not! I have learned over the years–and through many church conflicts–that disharmony and unhealthy conflict is habitual. Church splits and divisions do not happen overnight. Cultivating unity requires that we replace bad habits with good habits that promote unity, celebrate diversity, and discern the meaning and magnificence of God’s mission for our church. Look no further than Paul’s words of encouragement, it’s all right there! Paul says we are to be “in agreement.” I prefer the King James Version here: “We are to speak the same language.” That does not mean that we all have to speak the same things or even believe everything the same way, but it does mean nurturing the habit of speaking out of shared values that unite our church. Sure we may differ on various theological views, but as a church family, we hold several core values in common–its what makes us First Baptist Church! Paul says we are to be of the same mind. Again, that does not mean you have to think like I think, or that we have to fight trying to change each other’s minds. Rather, we are to seek the mind of Christ (1 Cor. 2:16). It means coming to a place where we seek to understand one another, but move beyond our own limited insights to seek the deeper things of the Holy Spirit. So, are we united? I think we are, but it doesn’t happen overnight. It must be intentional, and it requires all of us to believe that God is at work at First Baptist Church–to convict us, challenge us, call us, and commission us for the work that lies ahead! We delivered donuts to law offices in our surrounding area, the first step in connecting with our backyard mission field. Church is more than a building, it is a movement of people who have God in their hearts and bring the Gospel wherever they go. That’s why here at First Baptist Church, we don’t believe that our church is restricted to brick and mortar. All our churchgoers are asked to embody the values of our church and be “on mission” in their workplaces, families, neighborhoods, and places of recreation. We all live the First Baptist story, one connected to the larger drama of God’s intention to redeem all of creation in Christ. When I first became pastor in May, I wanted to get to know the church and the community. I have been spending time visiting parishioners and getting to know them better, but I have also been walking around the downtown district where First Baptist calls home. I continually feel the Holy Spirit moving First Baptist to be a leader in this community as it has been for over 100 years, a hub of ministry and missions resources, as well as a safe and sacred space where healing, restoration, and justice impact our immediate neighborhood to improve people’s lives, relationships, areas of needed reconciliation, and even the local economy. And I hope that this Spirit-led inspiration will take shape for years to come: Perhaps we can host luncheons for local business leaders who are longing to network with others in the downtown district. Maybe God is calling us to be the “chaplains” for employees and employers who are going through rough times or are in need of spiritual direction. Over the summer, we started to communicate with our neighbors about our intentions to connect. We delivered about eight boxes of donuts to law offices in our area, complete with a little note telling them that we are prayer for them. This month, we will do the same with other businesses. As we walk, we bring Christ with us. That is, after all, the meaning of pilgrimage: To follow the steps of Christ and go to places made holy by none other than the Holy Spirit. When we connect with our neighbors, we start standing on holy ground! In the meantime, I look forward to sharing stories with you along the way, to tell you how God is working in our neighborhood. Please join me in praying that God will bring the Gospel beyond our campus! This article originally ran on the Patheos blog of the Cooperative Baptist Fellowship on November 21, 2016. Since I arrived at First Baptist Church last May, I have met with over a half-dozen residents who moved to retirement facilities that value the concept of “aging in place.” Aging in place means helping people progress through levels of services and support as they age. Usually, this commitment includes utilizing different facilities and programs depending on the needs of the residents. For many churches that are well-established in communities across the nation, there is a need for strategic and intentional “aging in place.” Unlike care facilities that see to the “final act” of a person’s life, churches that age in place must find new ways of engaging its surroundings, share the Gospel of Christ in ever-creative ways, and revitalizing a sense of mission to reach new demographics in fresh and relevant opportunities for growth and ministry. Some churches decide not to age in place: Some move campuses to the suburbs or growing cities across town, while other churches close shop or merge with healthier congregations. Churches that stay put, however–successfully “aging in place”–are intentional about who they reach and how they reach out. It means transitioning to ministries that provide a variety of support, all the while leveraging partnerships and assets that are available within and beyond the church building. And they prayerfully reflect on the type of community they wish to become as a result. Serving downtown Vero Beach for over a century, the faith family of First Baptist Church made an intentional and prayerful decision to “age in place” despite unique challenges in our ever-growing secular culture. First Baptist has adjusted to the growing needs of Vero Beach by engaging the neighborhood with greater investments in the underprivileged population in the surrounding area, by re-tooling staff and volunteers to accommodate a growing diversity in its endeavors, and by including new and seasoned members in places of leadership and education on Sunday mornings. As a result, First Baptist has shifted its missional footprint and is flourishing as a result. In remaining as a steadfast presence in downtown, we have committed to bridging the gap between rich and poor, young and old, established and transitional populations. We have committed to diversifying our worship to God by incorporating both liturgical and global sounds into our 8 AM “Celebrations” and 10:30 AM “Traditions” services. We have committed to communicating Christ’s message of love by investing time and relationships in local businesses, non-profits, and service organizations in our immediate area. As we age in place and join God in reaching our neighborhood, we invite you to come alongside us. Participate in the unique opportunities only First Baptist can provide: like making a difference in the lives of people who long to experience the love of Christ, and by becoming a part of a Christ-centered community in which all people feel welcomed and safe. For just as Christ sent his disciples to reach their neighborhood and beyond long ago, so too does Christ call us today to bridge that gap between those who are lost and those who belong by sharing in the Good News of a Gospel still impacting Vero Beach today!